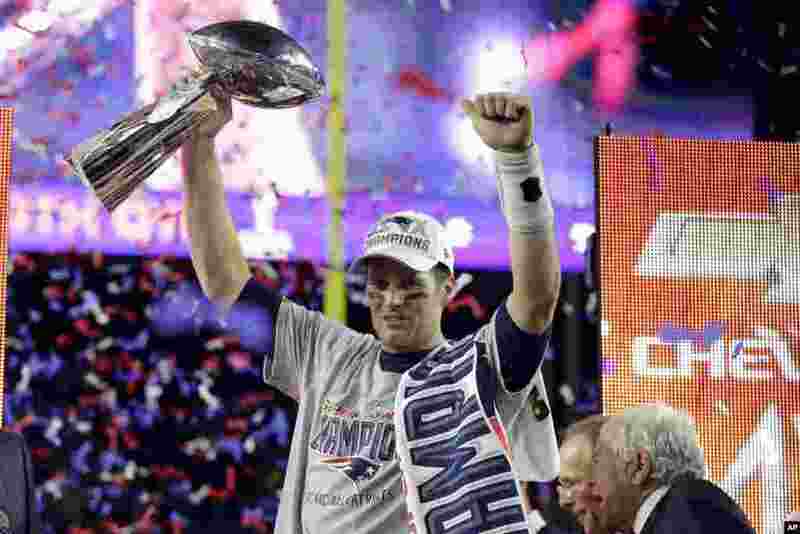 1 New England Patriots quarterback Tom Brady holds up Vince Lombardi Trophy after the Patriots defeated the Seattle Seahawks 28-24 in NFL Super Bowl XLIX football game in Glendale, AZ., Feb 1, 2015. 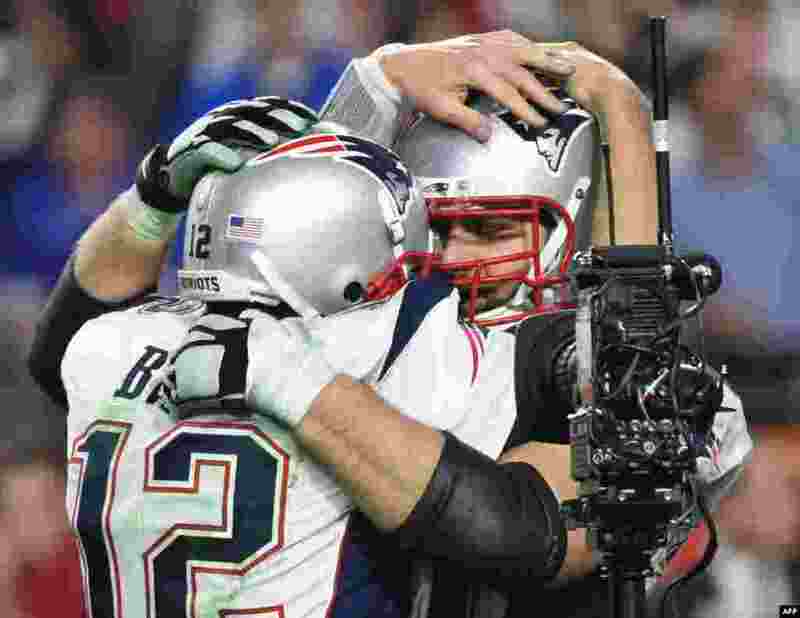 2 Quarterback Tom Brady (L) of the New England Patriots and teammates celebrate victory over the Seattle Seahawks in Super Bowl XLIX at University of Phoenix Stadium in Glendale, AZ. 3 Singer Katy Perry performs during halftime of NFL Super Bowl XLIX football game between the Seattle Seahawks and the New England Patriots in Glendale, AZ. 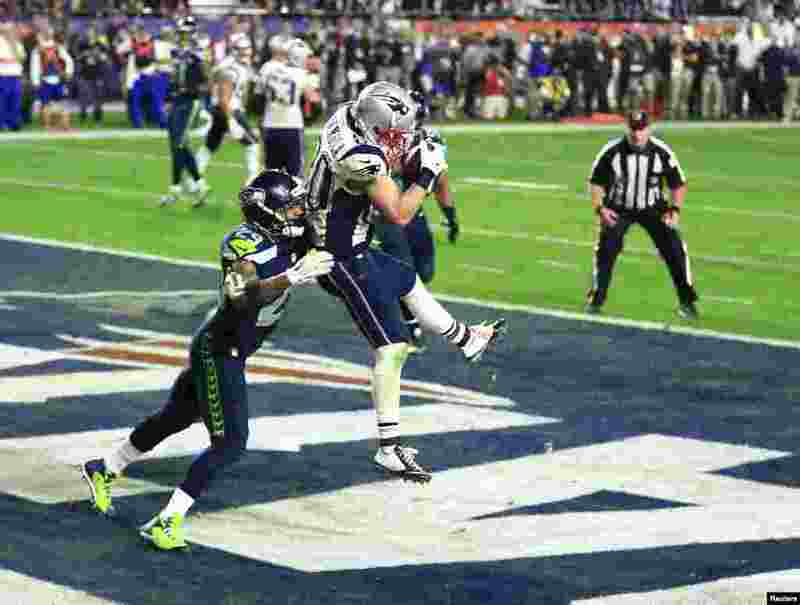 4 New England Patriots wide receiver Danny Amendola (80) catches a touchdown pass ahead of Seattle Seahawks free safety Earl Thomas (29) during the fourth quarter in Super Bowl XLIX at University of Phoenix Stadium, Glendale, AZ. 5 Malcolm Butler (R) of the New England Patriots intercepts a pass intended for Ricardo Lockette (L) of the Seattle Seahawks late in the fourth quarter of Super Bowl XLIX at University of Phoenix Stadium in Glendale, AZ. 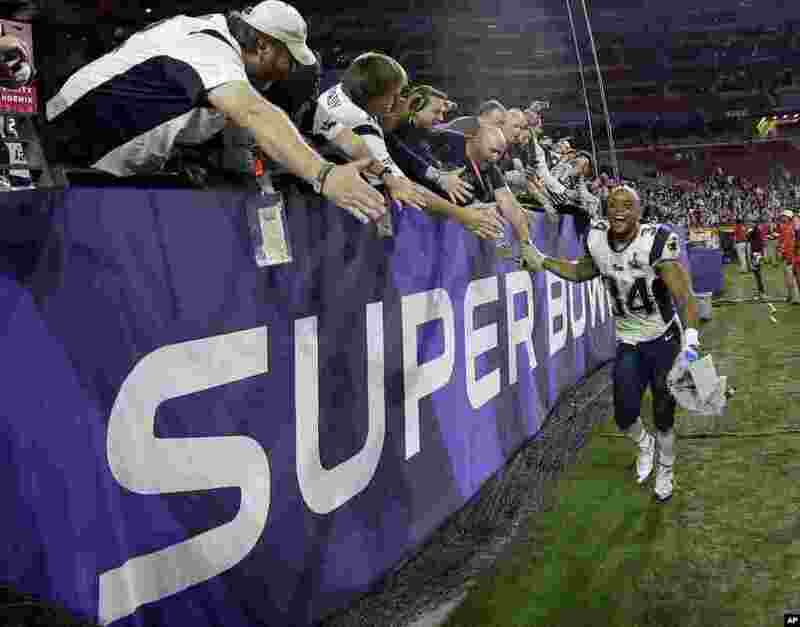 6 New England Patriots running back Shane Vereen (34) celebrates with fans after the NFL Super Bowl XLIX football game against the Seattle Seahawks in Glendale, AZ.